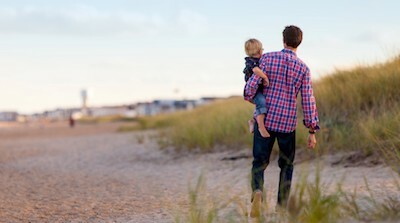 Even the most amicable divorce can have significant impacts on children. Children are often confused and unable to completely understand what is happening to their family. Some children even blame themselves, wondering if they have done something to cause the breakup of their parents. When children have trouble processing the emotions that they're feeling regarding a divorce, it is important for the grandparents to be there for their grandchildren. Grandparents play an important role in the lives of children who are going through an emotionally difficult time. 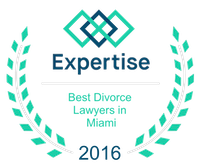 While many divorces are amicable, there is a significant amount of paperwork that needs to be completed. This could be accompanied by many meetings with lawyers and packing up of the family's assets. This process can be overwhelming for children who aren't sure whether or not they should help the process. For this reason, many children will want to go and stay with their grandparents. Their house is an important shelter where kids can just travel and get away from the situation. There, kids can try to find a sense of normalcy. This will be important as kids try to keep their lives on track. Without a doubt, children are going to have many questions regarding what is happening to their family. They may be nervous to ask their parents because their parents are obviously busy handling the divorce proceedings. Therefore, the kids are going to want to ask questions of their grandparents. Examples of common questions could be whether or not their parents will ever get back together or if the divorce is their fault. It will be important to grandparents to answer the questions in a hopeful manner without making any false promises. Kids will remember these conversations. Finally, grandparents can use the questions children ask them to educate the children on the situation. It will be important for grandparents to remind the kids that their parents still love them, regardless of how it might seem. It is also important to remind the kids that they can come to their grandparents with any issues. In this manner, grandparents can remind the children that this isn't their fault and that there is hope on the other side. This is an important part of the role of the grandparents in divorce.